We have an enormous demand this winter season with 249 players selected in 28 teams across Saturday and Wednesday Night Ladies competition. We have 123 Juniors (under 12 years), 98 Saturday Divisional, and 28 Wednesday Night players. Congratulations to you all who have been selected in a team! Coaches or captains will be in contact with you soon. For all our U10 to U12s, training will commence next Wednesday night from 5.15pm. Grading will occur at the BNA affiliation night next Monday. Updates on the team grades will be made then. For everyone who has ordered a uniform, these will be available next week. More details around pick up arrangements will be forwarded as we take delivery. Team lists for our Summer Senior teams are now available! Once again we would like to thank the Selection Committee – Alecia Connor, Rob Wildin, Adam Disney, and Len Davis – for arranging grading days and pulling these teams together. A big thank you also to others who assisted on the grading days – Amie, Jess, Dione, Molly, Amy, Shavaun, Bec, Connal, Sharon, Deb T, Justin and the rest of the hard working committee. Team Lists are now available! Team lists for juniors and intermediates are now available! Stay tuned seniors! Your selections will be posted soon! We are fielding a record number of players this Summer Season, with around 250 players. We would like to thank the Selection Committee – Alecia Connor, Rob Wildin, Adam Disney, and Len Davis – for arranging grading days and pulling these teams together. A big thank you also to others who assisted on the grading days – Amie, Jess, Dione, Molly, Amy, Shavaun, Bec, Connal, Sharon, Deb T, Justin and the rest of the hard working committee. New Team – That makes 24! 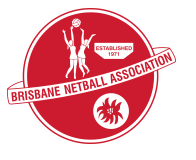 Our proud and progressive Netball club grows as we continue to uncover emerging talent on the courts! Welcome to the fray – KL Ruby – Our latest U11 team! Four of our more experienced U10 ladies are joining some 11 yo young guns. Under the guidance of new Coach Amie Weygood and Assistant Coach Justin Uzelac they will will fly the flag with gusto this season! Team sheets will be updated soon. We can’t wait to see all juniors + KL Orange tomorrow night for the first of a number of ZUMBA episodes! Remember, fixture recommence after the school holidays. We’ll post details when we are advised.